RPM Live is an Indigenous music performance series showcasing the best in Indigenous music culture. The series features performances by emerging Indigenous artists from across Canada and Turtle Island. 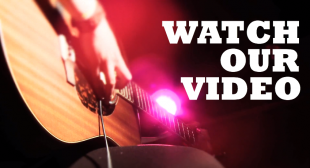 Each show, we bring you a curated event, across styles and genres, that includes live bands, DJs, acoustic sets, visuals, and more. #RPMLive is a unique opportunity to see Indigenous music in an exclusive and intimate setting with incredible sound. To date, we have presented shows in Toronto, Montreal, and New York City. 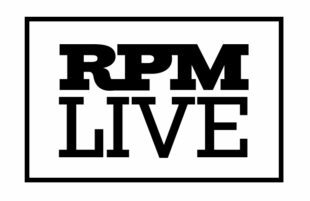 If you would like to see RPM Live in your community, please contact [email protected] Follow #RPMLive for the latest. 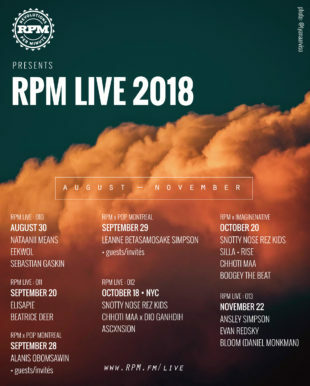 RPM’s acclaimed Indigenous music series RPM Live returns for its third season with a full slate of monthly concerts showcasing Indigenous artists in Toronto and New York. Once again, RPM Live will feature a slate of Toronto debuts, album release concerts, and rising voices from the Indigenous next wave. 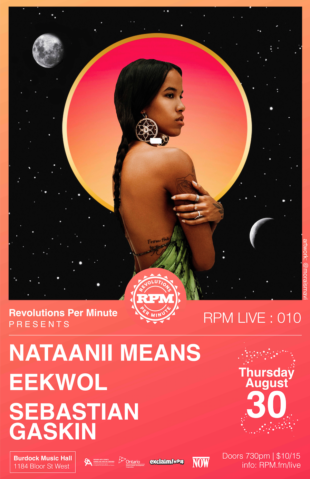 The series returns to the Burdock Music Hall and kicks off August 30 with RPM Live : 010 —a hip-hop and R&B-focused show featuring Oglala Lakota/Navajo/Omaha artist and activist Nataanii Means (son of renowned American Indian Movement leader Russell Means). This will be Nataanii’s first club show in Toronto and an album release show for his new record, Balance, out digitally on all platforms August 10th. Also joining the lineup will be Saskatoon-based Cree rapper Eekwol — and the Toronto debut of Cree/Anishinaabe artist Sebastian Gaskin, a Winnipeg-based multitalented singer, producer, and rising R&B artist. Every #RPMLive show has been sold out. Advance tickets are highly recommended. Limited capacity. Advance tickets recommended. RPM Live is presented in partnership with Exclaim! and NOW Toronto, and with support from the Ontario Arts Council.